Today, I had the fabulous opportunity to attend a cannoli workshop hosted by Feast on History’s Danielle Oteri and Wine for the 99’s Christian Galliani at Egidio Pastry shop in The Bronx. What fun! I learned some secrets from the 106-year-old operation. Our hostess, owner Carmela Lucciola, was fantastic. She is such an inspiration to me as an emerging woman business owner! Thank you all for a remarkable experience. 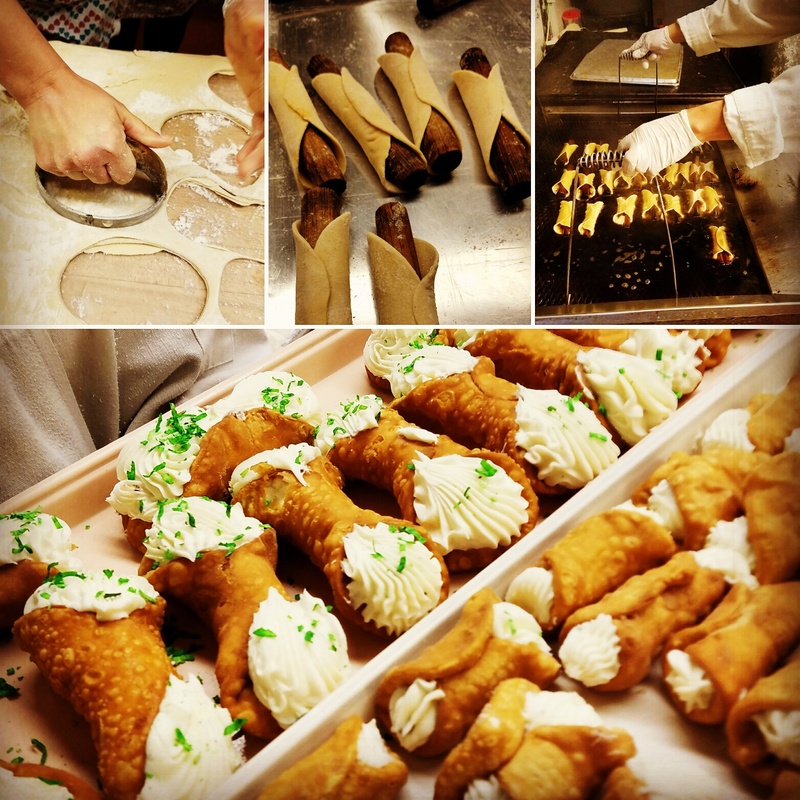 Love cannolo! I wish I were there! Oops! Looks like Carmela is the business owner! Well, they both are really, Dana! So, you’re right! We women can all use the support and well wishes. 🙂 So, thank you! Sounds like a wonderful visit with Carmela. Great opportunity to augment your knowledge of making cannoli. Wish I were there! Yummy!